Jennifer Judd Hinrichs is a Consultant for the Vibrant Cities Lab project and relentless advocate for growing more green in our communities. Whether you live in a town with a single main street or a megacity, the trees and green space in your larger neighborhood are key to the economic, human and environmental health of you and your community. The presence, or absence, of a thriving urban forest has a direct impact on our individual and collective quality of life in more ways that most people ever realize. In order to ensure our urban trees are doing the most for us, we need to know what we’ve got. Next comes an evaluation of what is needed and how to get there. And underscoring all of that is why this investment is so important and how it pays us back. A community’s green infrastructure — trees, vegetation and water — is just as important as its roads, pipes and power lines. Decades of research on small towns to dense megacities, show that our urban forests deliver measurable economic benefits, reduce strain on built infrastructure and improve people’s health and quality of life on many different fronts. Vibrant Cities Lab: A newly-launched website by the U.S. Forest Service, American Forests and the National Association of Regional Councils, merges the latest research with best practices for implementing green infrastructure projects in your community. Where do we find this research supporting urban forests? The Vibrant Cities Lab is a new one-stop shop for the latest research on green infrastructure. Conveniently and smartly packaged in one website, Vibrant Cities Lab showcases topic-by-topic information and research on how trees have a positive impact on public health (from asthma reduction rates to lowering domestic crime), economics, improving water quality, and social justice issues. Trees are the key to connecting to a better quality of life in our neighborhoods. There are dozens of user-friendly case studies and even a step-by-step guide on how to move forward on your own urban forest efforts. Don’t need convincing that healthy urban canopy and green space improves the quality of residents’ lives? Maybe you or your municipality are ready to embrace a healthier town or city, but aren’t sure which tools your community forest needs or what options are on the table. This is where the starter kit comes in. The USDA Forest Service has collaboratively developed a suite of tools to assess and measure the current state of a community’s forest, and to inform plans to maintain and strengthen that urban forest. All of these tools, whether used together or separately help communities understand the make-up, condition and value (social, economic and environmental) of their unique urban forest. The data collected and analyzed from these cutting-edge tools also provide compelling backstories and economic incentives for smart policy making and budget justifications. The tools and technologies described below can be used individually or in conjunction to collect key information about urban data that are vital to any sustainable and practical urban forestry and resiliency plan – for communities of all sizes. Trees and green space management is complex and crosses many boundaries: regulatory, social and economic. Selecting the right combination of tools allows anyone to customize their starter pack. i-Tree is a free software suite that provides communities with forest analysis and tools. i-Tree can help users understand the local, tangible ecosystem services that trees provide, linking forest management activities with environmental quality and community livability. It provides baseline data that can be used to set priorities for more effective decision-making (from school boards to county council budget committees). i-Tree software can estimate the benefits of the tree in your backyard or of the trees in an entire watershed area. Its versatility and user-friendly design make it applicable to provide key information on Capitol Hill or to third-grade classrooms. Urban Forestry Inventory and Analysis (Urban FIA) is an extension of the traditional FIA program, and inventories and monitors urban forests, on both public and private land across the nation, with a special emphasis on America’s largest cities. It collects data on the values, land ownership objectives, and forest management practices of provide forest landowners. It even includes a pilot effort to understand urban wood flows to help support and grow the US wood industry. This data can illuminate regional or national trends in urban forest health and status. The Stewardship Mapping & Assessment Project (STEW-MAP) was developed by researchers at the Northern Research Station in NYC out of a recognition that taking stock of social infrastructure is just as important as knowing about a city’s biophysical infrastructure. In addition, public agencies face complex challenges and limited budgets; effective solutions may require productively involving and leveraging community capacity. The STEW-MAP tool enables users to study the social landscape of environmental stewardship activities to understand which groups or organizations are active and what kind of work they are doing across the urban landscape. By mapping this out, a user can get a sense of resources and gaps, and may be able to engage groups and partner organizations to help address a project need, be it a local stream clean-up or a comprehensive urban forest plan or canopy conservation project. Urban land managers are increasingly using STEW-MAP to discover and leverage civic capacity. It has been implemented in U.S. cities from New York to Los Angeles and overseas in places such as Colombia, France, and the Dominican Republic. The basis of the program is a survey that helps to identify and evaluate traditional and non-traditional stewardship groups such as block associations, conservation and recreation clubs, tree-planting groups, nonprofit educational institutions and museums, and more. The Urban Tree Canopy (UTC) suite of tools consists of high-resolution mapping methodology that integrates green and gray land cover data with critical social, economic, and environmental information to inform sustainability and resilience policy, planning, and management. UTC allows for the integration of high resolution green infrastructure data with parcel-level data; this can inform a wide variety of questions and outcomes linked to improving quality of life – ranging from safety and crime to public health and water quality. UTC is now used in dozens of cities, and has been used to create and inform tree planting and other goals that improve quality of life for millions of people. The Forest Landscape Assessment Tool (FLAT) is a set of procedures and tools used to rapidly determine forest ecological conditions and potential threats. FLAT enables planners and managers to understand baseline conditions, determine and prioritize restoration needs across a landscape system, and conduct ongoing monitoring to achieve land management goals. The rapid assessment process presents a cost-effective opportunity for landowners that include local governments, private owners, and nongovernmental organizations to use ecological data to guide decision-making and improve environmental outcomes on their lands. The Climate Change Adaptation Workbook is specifically tailored to address climate change and community resiliency. The Workbook has a dedicated section evaluating forests in the urban environment. It provides a structured process to consider the potential effects of climate change and design land management and conservation actions that can help prepare for changing conditions. The process is flexible to accommodate a wide variety of geographic locations, ownership types, ecosystems and land uses, management goals, and project sizes. For example, does your community need to re-evaluate tree species that are more flood or drought tolerant? 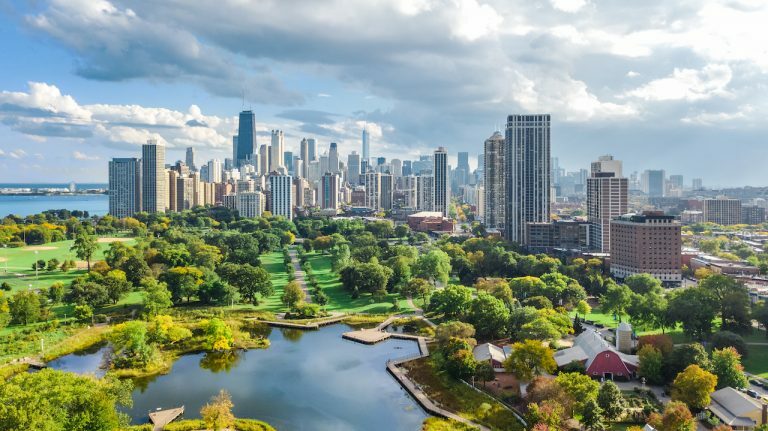 As communities and municipalities around America are grappling with extreme weather events, it is even more vital to incorporate smart urban tree canopy and green infrastructure planning into all resiliency and climate change planning. Assessing your community’s current green infrastructure assets and deficits provides immediate information for maximizing your quality of living but also sets out the road map for how prepared your community may be for extreme weather events – from flooding to hurricanes to drought. Take advantage of the Vibrant Cities Lab site and any of the tools in this urban forestry “starter pack” or wade in by reaching out to the experts at the USDA Forest Service. They can connect and steer you to local or regional resources familiar with these tools. For more information about these programs or urban forest research, contact Phillip Rodbell, National Program Manager for Urban Forestry Research prodbell@fs.fed.us or Lauren Marshall, National Program Manager for Urban & Community Forestry, lemarshall@fs.fed.us.